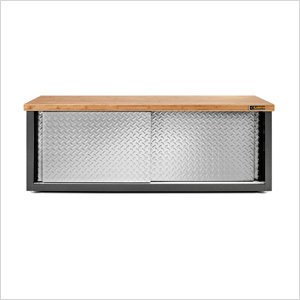 The new Gladiator GAGB54SBYG Storage Bench combines durability with versatility. 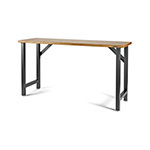 It is built with a sturdy bamboo top and a heavy-duty steel frame. Designed for flexibility, the Storage Bench is the perfect place to sit and take your shoes off in the mudroom or makes a stylish entertainment center in the living room. The dual bypass doors slide open to reveal plenty of space to store shoes or a variety of household items inside.